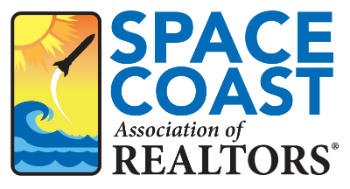 Space Coast Association of REALTORS® Professional Standards - Space Coast Association of REALTORS®. The Professional Standards Office and the Space Coast Association of REALTORS® serves to promote professionalism among its members. When a member fails to abide by the Code of Ethics, it affects the entire REALTOR® community. If you have any questions regarding the Code of Ethics or the complaint process, don't hesitate to call us at (321)-242-2211. The Space Coast Association of REALTORS® is a voluntary membership trade association and has legal limits on its authority. The Space Coast Association of Realtors® cannot conduct a hearing to determine violations of law, nor can it enforce contracts or award monetary damages to an injured party in a case. These powers are reserved to the courts and/or state licensing authority. We also do not have the power to revoke an individual’s real estate license. This power falls under the authority of the Florida Real Estate Commission (FREC), a branch of the Florida Department of Business and Professional Regulation (DBPR). Boards and Associations of REALTORS® are responsible for enforcing the Realtor® Code of Ethics, which imposes duties above and in addition to those imposed by law or regulation that apply only to real estate professionals who choose to become REALTORS®. Many difficulties between real estate professionals (whether Realtors® or not) result from misunderstanding, miscommunication, or lack of adequate communication. If you have a problem with a real estate professional, you may want to speak with them or with the Principal Broker or Designee in the firm. Open, constructive discussion often resolves questions or differences, eliminating the need for further action. Many Boards and Associations have informal dispute resolving processes available to consumers (e.g., Ombudsmen, Mediation, etc.). Note: If you are experiencing a problem with a REALTOR® that is legal in nature or if it pertains to the interpretation of a contract, we suggest you contact an attorney to learn your legal options.